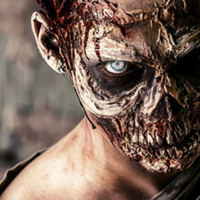 Blackout contact lenses are an all time favourite among Halloween revellers looking to take their costume up a notch. 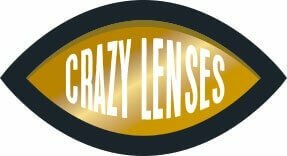 At Crazy Lenses, we stock a huge range, incorporating numerous designs that can be used to effortlessness replicate the look of key characters from some of Hollywood’s most acclaimed horror movies. For example, our black mini scleras lenses are great for replicating the look of Michael Myers from the 2018 rendition of Halloween. Meanwhile, blackout lenses can also be used to create a whole host of zombie, vampier, slasher and gory FX looks. Giving the appearance of a completely blacked out pupil and iris, our blackout lenses are also popular outside the genre of Halloween and are often worn as a fashion accessory. big big names such as Marilyn Manson and The Darkness have undoubtedly made them popular among fans of alternative fashion, rock, indie and gothic culture. 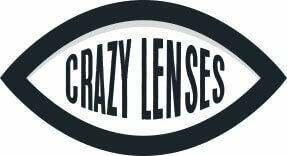 Design aside, our blackout lenses are FDA approved, comply with the European Cosmetics Directive and are manufactured in the UK using high quality materials, all of which ensure optimum safety for you and your eyes. Black Mini sclera lenses - Black mini sclera lenses are especially popular among FX artists, special effects Instagrammers and fans of gothic culture and alternative fashion. They are also great for those looking to create a Michael Myers look. Black Hellraiser lenses - Resting among our Halloween bestsellers, our black Hellraiser lenses perfectly replicate the look of Hellraiser's eyes and are a sure fire way to stand out at a Halloween party, on the annual trick or treat or at a movie convention.